Dentures are removable dental appliances that are used to replace missing teeth. Whether you’ve lost teeth from gum disease, tooth decay or injury, replacing the missing teeth is critical—not only for your oral health but overall health as well. Dentures in Logan Square are made to closely resemble your natural teeth, which means there generally aren’t any noticeable changes to your appearance. In fact, Logan Square dentures have even shown to improve smile appearance and improve mouth function. Whether you need all of your teeth or some of your teeth replaced, there are two types of dentures to choose from. Dentures can be used to replace all of your teeth or just some. When dentures replace all the teeth, they are known as complete dentures in Logan Square. This type of denture rests on the gums that cover the jawbones and is completely removable. Dentures that replace some, but not all teeth are called partial dentures. These dentures attach to the teeth that are still present and also cover and rest on the gums and bone where the teeth are missing—similar to a dental bridge. Developing dentures can take up to six weeks and usually involves several appointments with Dr. Guzman or Dr. Fidel, our dentists in Logan Square. During the first appointment, our dentists will take a mold of your natural teeth and gums. This impression is used to create a mold for your dentures. Once the dentures are created, patients will return to have them properly fitted. If you have lost some or all of your teeth, contact us at A Brush Above Family Dentistry in Logan Square for dentures. 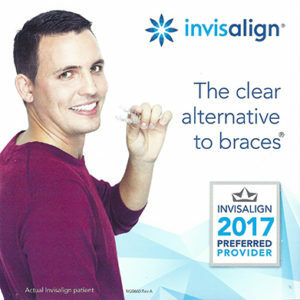 We will work with you to determine the best treatment option for your smile.